We have a lot of metrics these days – way too many metrics. We can get caught up in the magic of Marketing Automation to the point we forget that people aren’t automated. We have such a need to get the word out, sometimes we forget that the delivery system can be just as important as your message. So how does a company deliver its marketing message without sounding like we want them to drink our kool-aid? When it comes to delivering an honest, sincere, believable message, no one can help you like your successful customer. You’ve changed the way they work. They love it! Let them be the voice that spreads the good word. 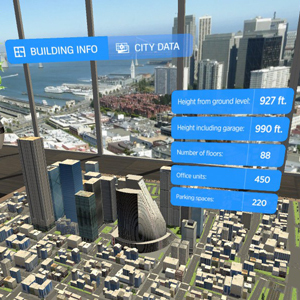 Autodesk asked us to work with PCL construction to tell the story of their BIM 360 product in use. If your customer doing something life changing, or of general human interest with your product – you have struck gold! As an example, check out this video for the foundation of the Microsoft Cloud – Windows Azure. If you are interested in seeing how to market to beings and not bots – send me an email! I would love to discuss what Viewstream can do for you. Medical and dental device companies who can incorporate VR/AR into marketing tools, presentations and trade show exhibits will provide their clients and potential customers with a cutting edge experience that can help to differentiate from the competition, creates excitement and takes advantage of the more immersive learning experience associated with AR/VR. Use of 2D animations has traditionally been the marketing tool of choice by most medical device firms, but larger industry players such as Medtronic have begun to incorporate AR/VR demos into tradeshows and device marketing. VR is growing in use and acceptance as a training tool for many allied health professionals but most especially surgeons and those performing invasive procedures. It is inevitable that the surgeons and medical professionals who trained on AR/VR platforms will begin to bring this technology and benefits to their clients for educational and marketing purposes in order to increase comfort and compliance with elective or emergent procedures and to better understand post-op home recovery protocols. You wouldn’t be reading this if you didn’t realize the effectiveness of video in your campaigns and sales numbers, but what makes a good marketing video? We’re all constantly bombarded with requests to watch a product demo, pitch or overview, sometimes it can be overwhelming to know what type of video would be effective for your own particular needs. At Viewstream, while we see and deliver the benefits of marketing automation, we also realize you are selling to beings, not bots. Bots just do math, which can be interesting to a nerd such as myself, but human beings need more than numbers to make an intelligent purchase decision. Really there are only a few essential considerations, the most important of which, I believe, is watch-ability. Obviously, your video cannot be effective if no one watches it, or “tunes out” even if your metrics show the video was played from beginning to end. The biggest mistake you can make is to believe that someone will watch your video just because you made it, or worse, paid a lot for it. With so many ways for our potential customers to distract themselves these days we need people to WANT to watch our video, or even leave them wanting to see more similar videos. The original series of five was so successful, they inspired Microsoft and Toshiba to bring back Kyle for another series! Do Online Ads Featuring People Get More Clicks? Studies have shown that consumers are visually drawn to human faces, but does this maxim hold true for a digital advertising campaign for high-tech software? After conducting a thorough A/B test, we were surprised by what the results showed. Were you surprised that the results showed that online advertising with people can negatively impact the success of digital campaigns across multiple channels including Facebook, Linkedin, Twitter, and retargeted ads? Here at Viewstream, we believe marketing is built on the fusion of story and data. Accordingly, we follow the code of “Keep Testing!” and utilize A/B and multi-variate tests to determine most successful digital trends for your story. 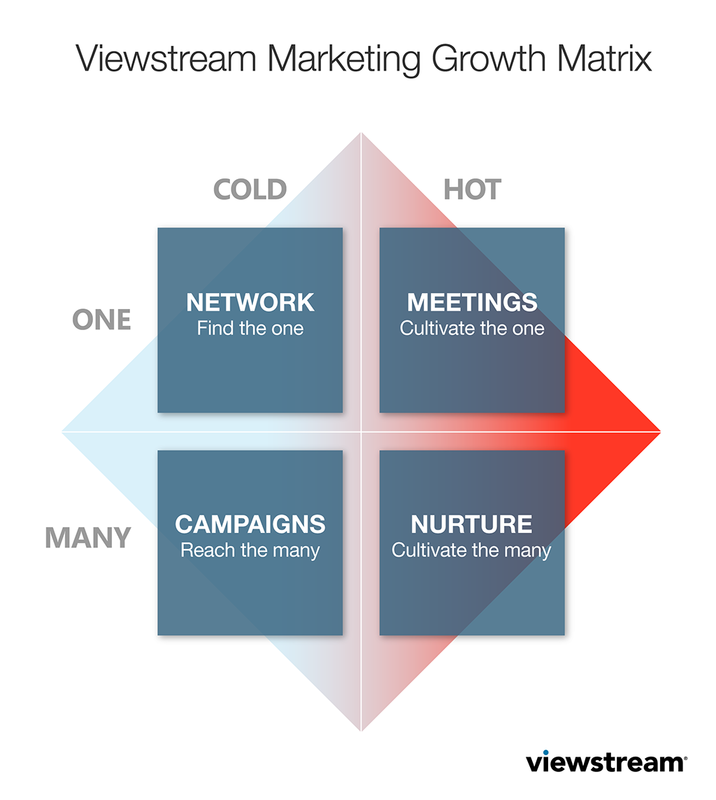 Introducing the Viewstream Growth Matrix. Dive in below as we discuss how these four areas can work together to put your business on the path to growth and beyond. Networking is like finding a new friend: you’re simply on a search to connect with someone on a deeper level. And from one successful relationship, many more will blossom. Networking can feel cold, however, it can warm up quickly by attending top events relative to your industry and interests. So, get searching in your area. Demand generation is an art…and a science. Targeting the right audience in the best market to buy your product can be complex. And to achieve scale, you’ll need to drive awareness and interest in your offering. A follow-up mechanism allows you to place contacts inside a pipeline, qualify the ones that have a need, and finally, generate more customers. You have a relationship with one of your contacts, either personally or professionally. Now, it’s important to cultivate relationships with periodic meetings. Meetings are about them, not you. They’re also about listening and understanding their goals. So, prepare a bunch of questions and be prepared to listen. Your greatest assets are your established relationships. As your offering already aligns with your customer needs, it’s time to nurture those relationships. It’s not only essential to maintaining your existing client base, but it utilizes more personal forms of communication. Now it’s time to give more than you ask, and deliver value at every step along the way. No matter how great your product is, if you are marketing to the wrong person and/or industry, you will have challenges. Identifying the right target audience is the most important thing you can do for your business and marketing. This market/customer fit, and the continual process to discover and rediscover the fit as times change, is the eternal task of business. 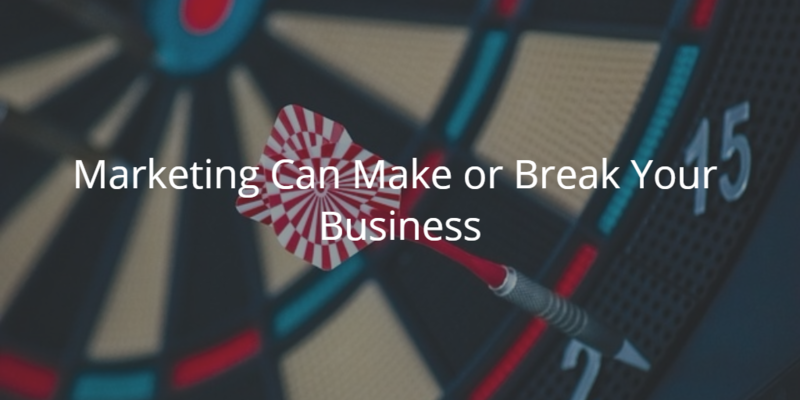 Some businesses have tight fits that make marketing relatively easy. For other businesses, we need to perform more trial and error between offers, content and targets, using various media, like 3rd party publishers, 1st party data, social media, email lists and others. Don’t assume the marketplace cares about you (they don’t). Put in the time and effort to identify the right targets, reach them with creative, put them through a funnel and then sell. The only thing you can count on is that the magic bullet is not magic. The latest algorithm, creative trick or marketing automation tech won’t solve your marketing problems. You need a human touch. Predict innovation through search keywords. A beer example. What Jack Welch means by that is that all business revenue lines eventually lead to zero. Think about the graveyards of businesses: Blockbuster. Kodak. Borders. Myspace. We can never rest on a single revenue line. But how? What is the right market? What business ought we be in? What products and services will define the future? Here’s a quick and easy way to get some instant feedback on what’s next. Using a SEM/SEO keyword tool like Google Keyword Planner or Sem Rush, look at search keywords to identify future market trends. What’s interesting are the long tail keywords, down the list in the twenty-five spot or the fifty-spot depending on keyword volume. That’s where things get interesting and opportunities are identified. Let’s look an example: beer. Say we want to innovate in the beer market. The keyword “Beer” gets over 1.3M searches a year. Let’s look at some of the long tail keywords that are insightful in identifying new markets. Root Beer is trending up strongly. Diversify up market with a craft, non alcoholic play? A lot of interest in nonalcoholic beers – could be another way to diversify up market. License your beer brand and recipie to a company making cheese products? Yum. Sapporo is a rice beer, so perhaps this is a health trend showing demand for beers that avoid gluten? A gluten free beer? Could be a marketing stunt of some kind? Even better than regular root beer – add some alcohol. 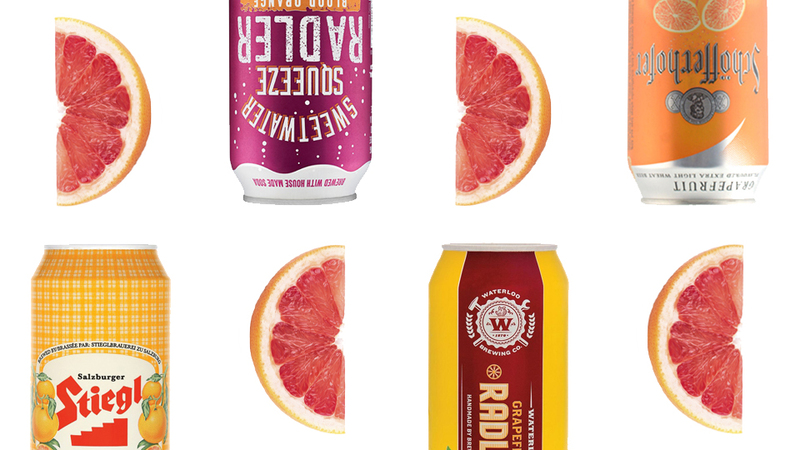 Grapefruit beer is a German type that further fits into the health trend. It’s 2% alcohol and even has vitamin C.
If you are in the beer business, those are some great ideas. I developed those ideas in a few minutes, so a bit more time and testing could yield significant dividends. And if you do happen to end up in the dustbin of history, have a beer and get back to the Keyword Drawing Board! If you want some help identifying new markets, let Viewstream know. We would love to help. One other thing: once you have a new product identified, use this handy tool to define your market position. We were recently asked to do a marketing audit by an investor of a troubled startup. We.Software*, a young company offering software design services to healthcare companies, set forth to conquer the world. They had set aside a marketing budget of 100K per year over three years. Three years went by, but they didn’t get the traction. When going back and analyzing the marketing spend by their marketing agency (a boutique agency based in Seattle), we noted that a full forty percent of the budget went to pure design related assets, like logo, website design and document assets. If your agency wants to spend forty percent of a budget on design related assets, please find a new agency. At the start of a company, lean and agile approaches means spending very little on design assets and more on customer research and product marketing (things that actually grow your business). For a logo, use a crowdsourced asset for an inexpensive logo. For a website, use a WordPress template. As your company matures, there will be a place for more significant spend on design and brand assets. Helps to communicate who you are and why you are different to prospects and employees. Spend budget on research that delivers tangible information about your customer – this is invaluable and ought to be an ongoing process. Despite popular wisdom, it is never too early to put your name out there. You need to get people in your world, and there is no better way. Viewstream can help with any of these items, and we won’t ask you to spend a ton of money on design. By the way, We.Software went out of business. Digital marketing for technology companies is fundamentally different than marketing for the non-technical industry. Although it sounds like a simple distinction, if we unpack it, we discover surprising insights. A few months ago, I had some conversations at the digital marketing SoDA conference that opened my eyes to the differences between digital and traditional marketing ecosystems. I’ve been living in the tech industry so long, that a new perspective from outside the fishbowl was clarifying. This seemed like an innocuous question when our workshop leader asked, but the answers I heard were surprising. Except for me, the unanimous answer was: We focus tremendous time and effort convincing clients to believe in digital-first marketing. Then we have to ensure that the digital-first approach is accepted and operationally integrated into the marketing organization. Traditional methods of presenting new projects, whether it is a design for a new hospital, or the construction phases of a new office building, usually involve printed images and documents, videos with 3d animated flyarounds, or physical maquettes (miniatures) of the building. Project leaders from firms rely on these methods to present everything from designs and analysis, to scheduling and cost to their clients and investors. Even though these methods work in terms of getting the information across, the overall engagement with the content being shown will always be limited by the quality of the material and the technology being used to present it. 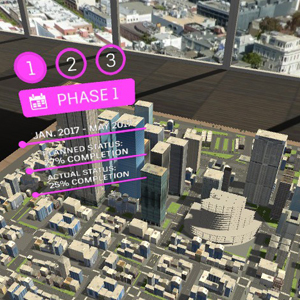 AEC firms are just beginning to leverage VR for not only their internal practices, but for client-facing material as well. The value that VR brings is greater engagement through immersiveness. By allowing a viewer to see content as if it was actually there, walk around it and interact with it, presentations can be brought to a whole new level. Using the right creative, strategy, and technology can make content more engaging. What we have done with the new Viewstream AEC VR Demo, is design and build an experience around a specific product, in this case a new construction presentation. We took what is a traditional method of presenting information, and reestablished how it is presented. In the Viewstream virtual presentation, we showcase a variety of information that is both important and essential to this type of product, and we do it a way that is engaging for the viewer. Cost and scheduling, lighting and energy analysis, general neighborhood data, as well as full views of the new construction are some of the elements we find important to this industry. By creating a realistic, immersive, virtual experience around this concept of an architectural/construction presentation, we can engage the viewer and in turn deliver greater value. 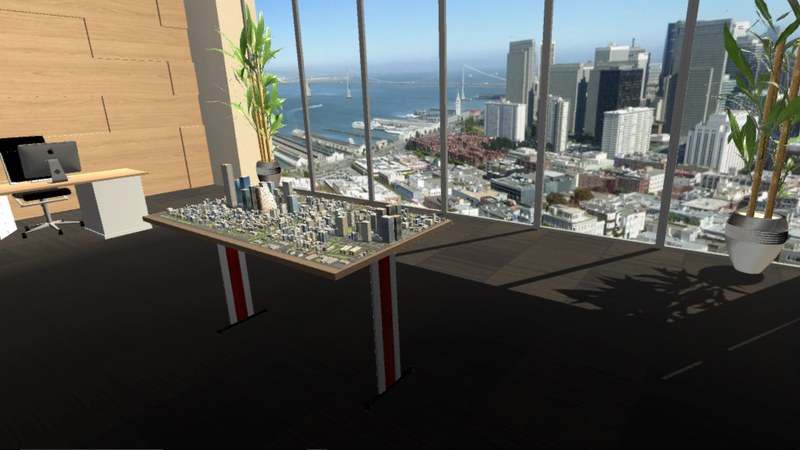 Would you like to learn more about Viewstream and our VR services for the AEC industry, including checking out a demo? Email info@viewstream.com and a team member will get right back to you. Or complete our contact form.